At [INSERT NAME] we believe in providing expert service, extensive product offerings, and exceptional pricing. Our committment to providing the best products and service at the best price is what has allowed us to be in business for the past 25 years. We take pride in offering the best solution to the custom window covering needs of homeowners and business owners in the [INSERT LOCATION] area. We also take pride in providing custom window treatments that are manufactured in America. Our full range of products are 100% manufactured in America - providing our customers with a high quality product from a reputable manufacturer. If you're looking for the most energy efficient window treatments, look no further. 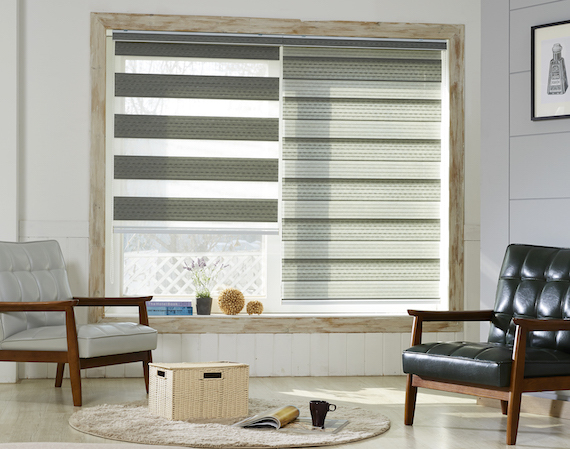 Cellular shades are engineered to trap warm or cool air in specially designed pockets. The unique design of cellular shades allows them to provide unmatched insulating qualities, which ultimately means major savings on heating and cooling costs. We offer a variety of light filtering and room darkening fabrics in an extensive range of colors. Energy-efficiency, beauty, and creativity combine to make cellular shades a winner. Contents copyright ©2019 North Florida Demo. All rights reserved. North Florida Demo is a Skandia Window Fashions Premier Dealer.